Coconut water has been trending for some time now, and for a very good reason. The Hawaiians refer to Coconut water as “dew from the heavens”, because of it’s incredible health benefits, and I refer to it, as my number ONE hangover cure! FYI: Did you know that during World War II and the Vietnam War, Doctors used Coconut water for intravenous IV solutions, when traditional water supplies were low and they discovered that it acts as an electrolyte replacement. It is so deliciously good for us because of the nutrients it contains. These include vitamins, amino acids, antioxidants and a rich source of major minerals, such as potassium, calcium & magnesium. How can something so tasty be oh so healthy?! Coconut water has a bunch of health benefits! These include: rehydration, immune system booster, decreasing heat stroke, improving blood circulation in diabetics and even anti-aging treatments. This heavenly drop not only has 15 times more electrolytes than popular sports drinks, but also super low in calories! Making it an amazing remedy for those horrible hangovers. 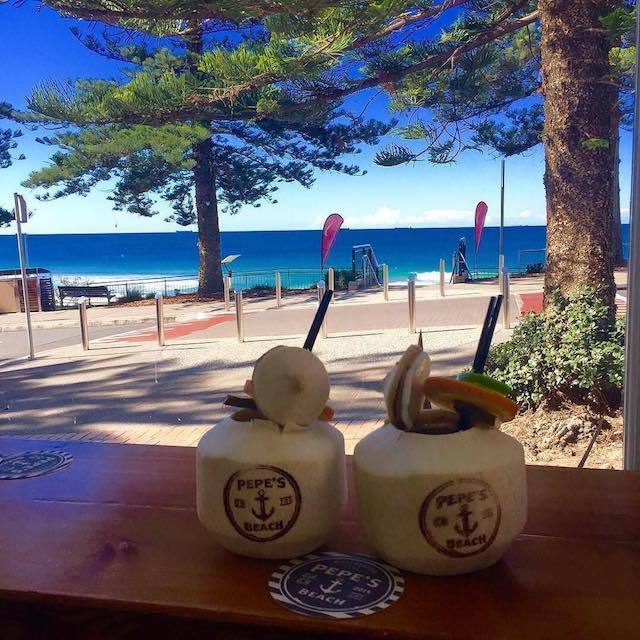 That’s why, at Pepe’s On The Beach, we love the Sailor Jerry’s Spiked Coconut. It is one of the signature summer cocktails on our delicious list and definitely one of my personal favourites! 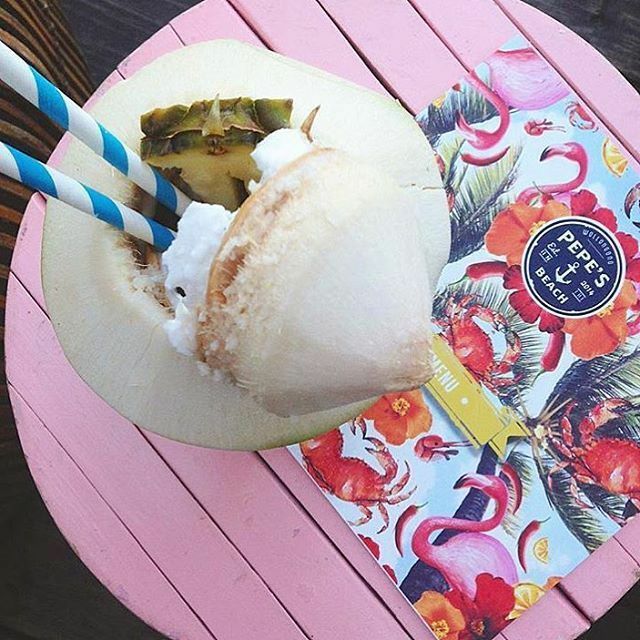 The fresh Coconut is mixed with Sailor Jerry’s Spiced Rum, making it the perfect dose of rehydration after a big day on the beach, or the most delicious ‘hair of the dog’ that you’ve ever tasted! We’ve also got loads of sea-side Cabanas that you can get comfy in. Next time you have a thirst that needs quenching, come and see us at Pepe’s On The Beach!